Piper was born with a degenerative eye disease and knew he would eventually lose his sight but it started to significantly affect his life around 20 years ago, losing any usable vision 12 years ago. "Why should losing my sight prevent me from doing events like the Kathmandu Coast to Coast? It’s only my two eyes that don’t work, nothing else has shut down." Piper will be accompanied by Josh Thomas as a guide throughout the event with the pair running off the start line together near Kumara on the South Island’s West Coast tethered together by an old rugby sock before jumping on a tandem bike for the first 55 kilometre cycle leg. They will then be joined by a second guide, Olivier Lacoua from Christchurch, for the gruelling 30 kilometre mountain run over Goat Pass, which Piper says will present the biggest challenge. Piper had always been an active sportsman playing football and cricket, as well as taking part in triathlons and half marathons and remains highly motivated to keep up his physical activities and events. 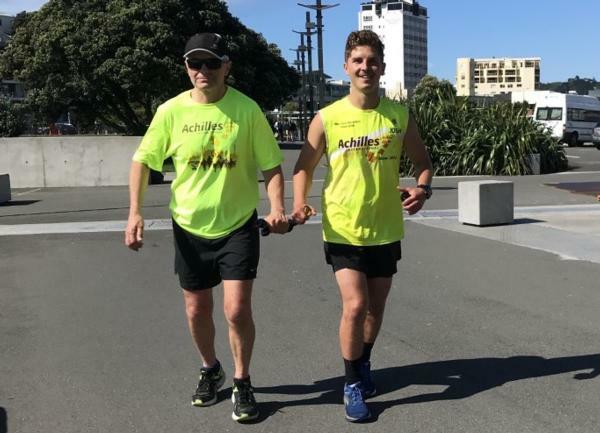 He has competed in the Wellington Ultra off road marathon, the Tauranga half Ironman and a number of half marathons with the support of Achilles New Zealand, an organisation that supports people with disabilities to run alongside able-bodied athletes in mainstream running events.